Plus, how can you resist this cute little goat face? Goat Rider may look simplistic, and well, it is. Except you might very well end up spending hours of your time on it. Sound crazy? It might up until you start wondering where all the time went. It's a cartoony diversion that you'll wonder why you didn't think of sooner to get in on some of this sweet app money. 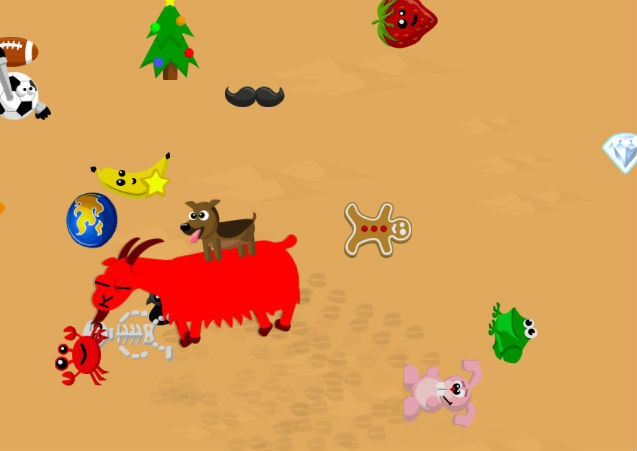 Goat Rider has you keeping your thumb down on the touch screen to ensure your character remains on the back of the goat. It'll do its best to try and shake you off and get you off of its back, but you'll have to hold the course if you want to be successful. As you progress there'll be additional riders that you can pile on the back of your goat, ranging from dogs to turkeys to emoji. It may not be a conventional sort of game, but it's worth looking at if you want to play something quirky. Plus, don't you want to make that cute little goat happy?